(Above) With a bit of rock climbing skills, a steady hand, and armed with the knowledge of how to persuade a lizard that you are not a threat (i.e. you are uninterested in it), success is imminent. 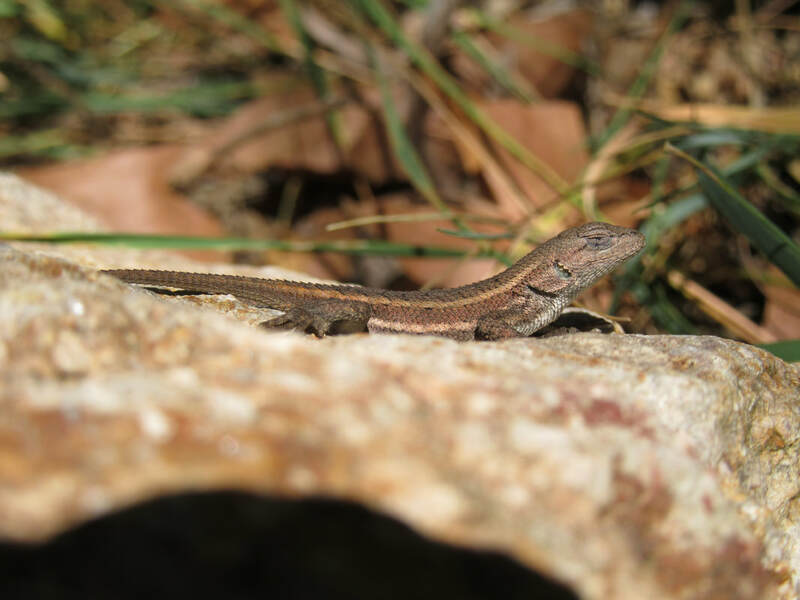 (Below) A cold lizard is a skittish lizard, making it difficult to catch. If it is cold enough to wear a sweater, chances are the lizards are cold, too. Attempt to noose a cold lizard from a greater distance than a warm lizard.